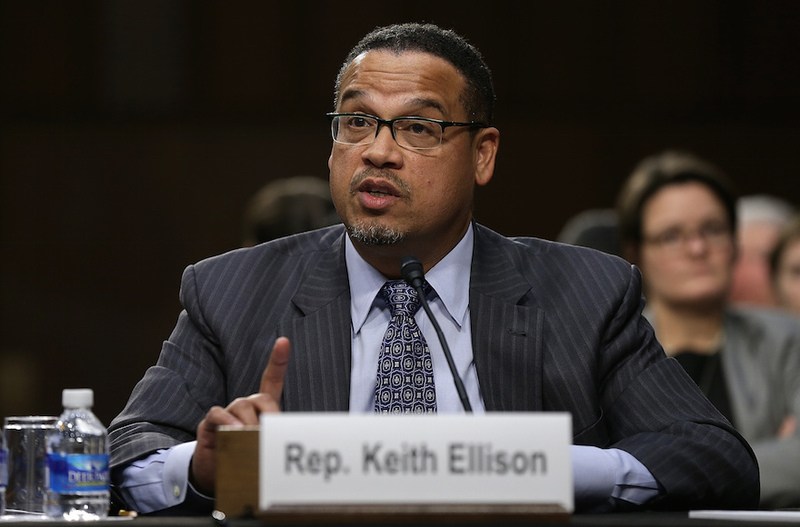 WASHINGTON (JTA) — In a lengthy letter to the Conservative movement’s rabbinical arm, U.S. Rep. Keith Ellison said he regretted past positions that have unsettled Jews as he seeks the chairmanship of the Democratic Party. Secretary of Labor Tom Perez, meanwhile, spoke Wednesday with about 50 Jewish Democrats about his own bid to head the Democratic National Committee and reassured them of his bona fides in the area where the Minnesota lawmaker has come under fire – support for Israel. Ellison’s letter was in response to queries from the Rabbinical Assembly. “We are interested in understanding how will you affirmatively work to ensure that the Democratic Party condemns any and all efforts to delegitimize Israel, including efforts to deny the historic Jewish connection to the Land of Israel including Jerusalem,” said the R.A. letter. Perez spoke for about 45 minutes with top Jewish lawmakers and fundraisers for the Democratic Party. Much of his emphasis was on his past work with the Anti-Defamation League tracking and combating hate crimes, but he also emphasized his understanding of Israel’s security needs. He described how he once stood on he Golan Heights, captured by Israel from Syria in the 1967 Six-Day War, and appreciated the nearness of Israel’s enemies in Syria and Lebanon. “It was impossible to walk around during the visit and not appreciate the strategic importance not only of the Golan Heights but of Israel, the only democracy in the Middle East,” Perez said. The electors who choose the DNC chair – close to 450 of them – are state party officials and officials in state government, among others, and Israel and the Middle East will not figure highly in their considerations. They are concerned much more with rebuilding a party devastated by its across-the-board losses in November’s elections. Nonetheless, Ellison’s letter and Perez’s appeal reflect the importance that some in the party still place on maintaining Jewish support, a mainstay of the party for decades. Ilyse Hogue, meantime, the president of NARAL Pro-Choice America, an abortion rights group, dropped her bid for the DNC chief. Hogue is Jewish.